Insomnia or sleep disturbance is common in those who have osteoarthritis, occurring in more than half of older people with arthritis. Sufferers have trouble getting to sleep with arthritis, as well as staying asleep, waking early, and the sleep tends to be lighter, restless and unrefreshing. As people get older, they tend to spend more of their sleep time in the lighter phases of sleep, which means they are more likely to be disrupted by the pain and discomfort of arthritis. While the pain of arthritis is a factor in poor sleep, it is not the only cause. In fact, research has shown pain killers are not necessarily the answer to disturbed sleep. For some reason, insomnia and arthritis often just co-exist. Medications given for arthritis may also be making sleep difficult. Cortisone, for example, can cause insomnia and, while some painkillers may make you drowsy, they may make you fall asleep during the day, which can then make it difficult to fall asleep at night. Whatever the cause, improving sleep is important. Research indicates that the sleep deprivation amplifies the pain of arthritis and a bad night’s sleep is linked to worse arthritis pain the next day. The deep stages of sleep are also when the body releases hormones to repair muscle damaged during the day. Disrupted sleep can also affects other aspects of life, causing fatigue, thinking problems, difficulty concentrating, poor memory, headaches and disturbed mood. While sleep medications can assist, they do have side effects. They also do not address the underlying causes for the sleep disturbance, which can lead to reliance on the sleep medication. Lifestyle modification and non-medication therapies have been shown to help. It may help to create a sleep diary, recording your sleep patterns and what factors have helped and hindered you getting to sleep and staying asleep. Using a fitness tracker with a sleep recording device may also help you to understand better the quality of the sleep you are getting. If medication is keeping you awake, you might also need to talk to your doctor about altering your medications or the time of day you take them. Yoga – involves stretching, strengthening, balancing, breathing exercises and meditation. Yoga may help with sleep by reducing joint stiffness and promoting relaxation. Cognitive behavioral therapy (CBT) – involves training the mind to change from negative unhelpful thinking to more positive useful thought patterns. Examples include changing the bedtime routine and counteracting negative thoughts in the evening. CBT is taught by psychologists and there are also online courses where you can learn techniques. Relaxation techniques – relaxation exercises include deep breathing, controlled and timed breathing, mindfulness meditation, tai chi, and activities that focus the mind in the present. Relaxation can help calm the mind prior to bed. It can also help relax any stiff and aching muscles. Daily exercise – gentle daily exercise can help. 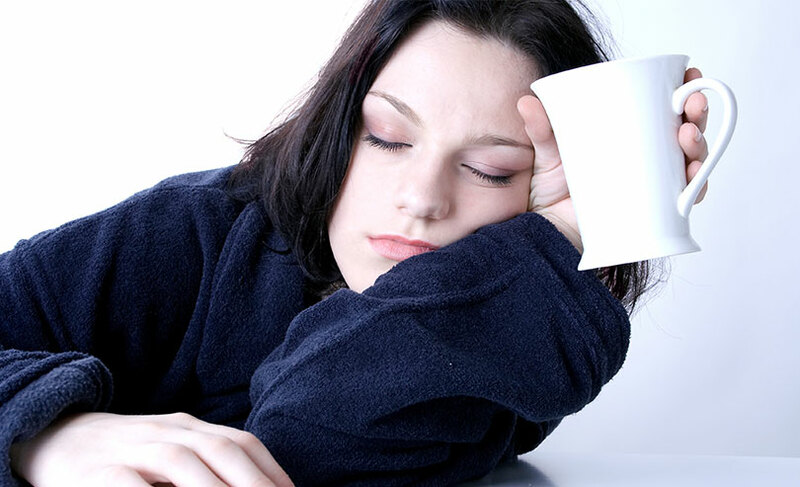 It can make you feel more fatigued at the end of the day, which can help with sleepiness. 20 minutes every day is good and can be spaced in two 10-minute segments. Low-impact exercises, such as walking, cycling or water aerobics are good. Medication – if sleep is very difficult, there may be a role for medication. Doctors may prescribe painkillers, anti-inflammatory medications, sedatives, or certain antidepressants that can have sedative effects. The type of medication will likely depend on the precise reason you are having trouble sleeping and must also take into consideration other medications you might be on.